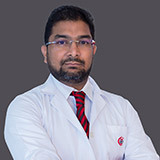 An experienced physician in Medical Oncology, Clinical Haematology and Bone Marrow Transplant (25 years experience in his field) with extensive knowledge related to haematological disease (benign and malignant), hemoglobinopathy hemostatic disorders, hemophilia and solid tumors (mainly breast cancer and colon cancer). 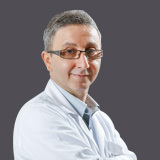 Dr. Ziade obtained a National Italian Diploma in Medical Oncology in 1999 (trained under the patronage of Prof. Gianni Bonadonna, International Leader of Medical Oncologist) where he first applied the concept of adjuvant chemotherapy in breast cancer and the gold standard ABVD treatment for Hodgkin Lymphoma. Dr. Ziade involved in different interventional protocol related mainly to breast cancer and colon cancer. Dr. Ziade concluded his fellowship in clinical haematology and bone marrow transplant under the patronage of Prof. Lucarelli, International Leader in Bone Marrow Transplant for Thalassemia and Sickle cell anemia patient and Founder of Lucarelli Level in Thalassemia classification. Dr. Ziade involved in Thalassemia and Sickle Cell Anemia Transplant mainly in Haplo-identical BMT. In 2008, he started his training as fellowship at King’s College Hospital London (the largest hospital in UK for Bone Marrow Transplant unit)under the patronage of Prof. Ghulam Mufti working in the field of Myelodysplasia and Leukemia and involved in Bone Marrow Transplant (the main-training) concluded in 2012. Dr. Ziade worked at the University Hospital of Rafik Hariri General Military Hospital, Lebanon since 2012 as Head of the Bone Marrow Transplant and Oncology-Haematology Department until 2014. Dr. Ziade is an author of different articles and collaborated in several congressional abstracts. He speaks English, Italian, French and Arabic.